"Always appreciate this service ! Thank you!" "It was overall good experience." 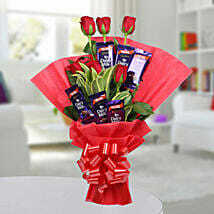 "Have used Ferns N Petals earlier and you would never let me down. Thank you so much for being there for people like me"
Finding the perfect way of thanking someone for their favors and for their constant support is a difficult task. Many a times, words do no justice to their credit in your well being and your prosperity. Personalized gifts are a thoughtful gesture to show one’s acknowledgement of their gratefulness. They are the simplest methods that help you to thank the Samaritan of your life. With our thank you chocolates online, you can find the chocolate that will suit your purpose. 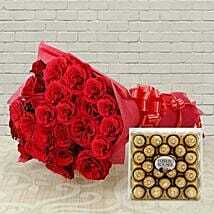 We provide you with an assortment of premium chocolates. 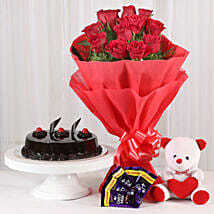 These chocolates are of a superior quality and areas exclusive as the person you wish to gift them to. 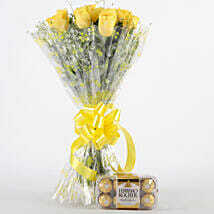 Our flowers and chocolates for thank you option allow you to express your feelings through silence, for the unwrapping the box will draw a smile on the face your recipient. 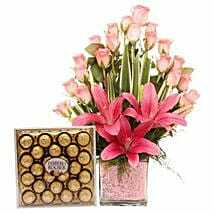 We feel happy to assist you in selecting the chocolates that will help you in accomplishing the impossible task of thanking someone for their care and love towards you. We customize the packaging and use the most delicious chocolates, match your gift cards to each recipient and handle all the delivery. Our flower bouquets have been designed by florists who are adept at the art of expressing your emotions through their arrangement of flowers. 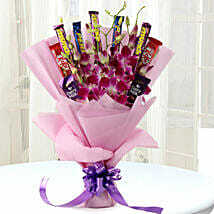 These bouquets are a quintessential arrangement of all the finest flowers in a manner that will warm your hearts. 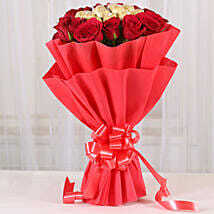 The flower bouquets are exclusively designed to add charm and grace. 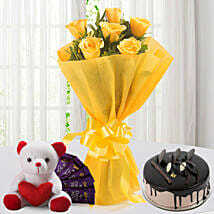 Along with this you can also send butterscotch online and also send black forest cake online. 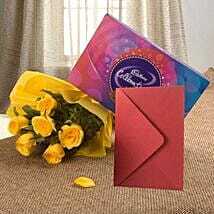 Feel free to contact us when you want to make your well wisher feel happy. We promise to make you look good while you are conveying your gratitude.